Here is a more panoramic view of Grafton, West Virginia, this time looking east from the Ethel Street bridge. At far left is the Wheeling line via Fairmont, while the line to St. Louis splits off to the right. 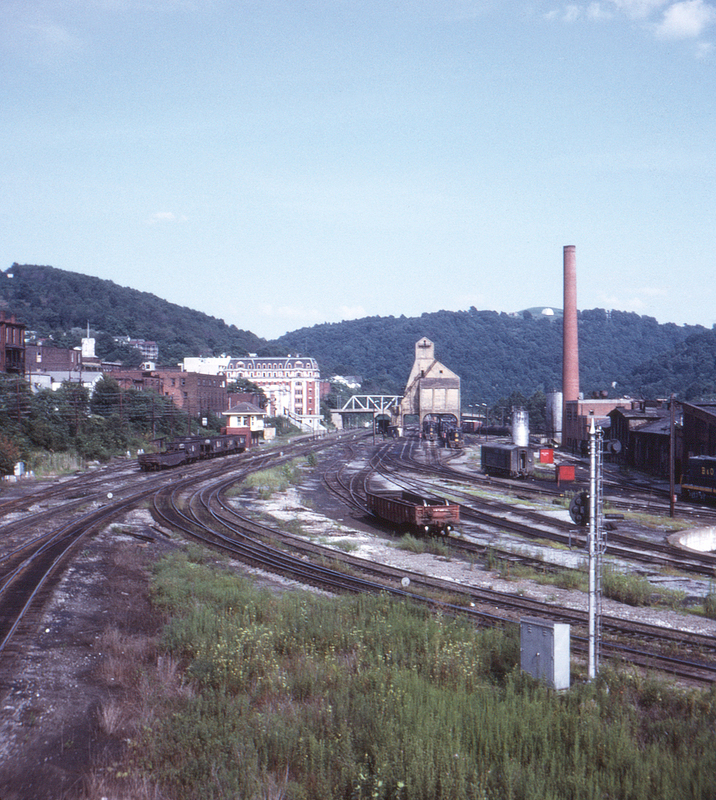 Today Ethel Street ends at Main Street, no longer continuing across the tracks to provide this view of the roundhouse and engine terminal. The roundhouse and turntable are just visible at the far right.